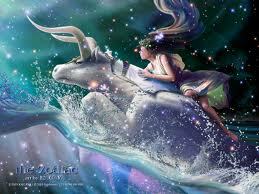 The Taurus New Moon occurs on Sunday, May 17th at 9:13 pm PDT at 26 degrees Taurus 55 minutes. Here’s the chart: TaurusNewMoon2015. Taurus is the first of the Earth signs and is the quintessential manifestation archetype. What is begun in Aries is stabilized and secured in Taurus. This is the sign of survival and self-reliance. Through Taurus, we learn to establish our success by investing in and developing our own natural talents, skills and abilities. As we share our gifts with others, we can in turn garner the resources we need to survive. Taking care of ourselves is empowering. Self-worth and confidence result as we value ourselves, develop ourselves and become increasingly self-reliant. Like last month, this New Moon is also at late degrees so it too is ‘VOID.’ Void planets have nothing left to do before changing signs. Since the planets reflect reality, while they’re void, activities associated with them here on planet Earth are also ‘void’ meaning nothing of real significance will occur. Activity will likely resume once the Moon enters Gemini on the 18th and the Sun follows suit on the 21st. Meantime however, Gemini’s ruler, Mercury, will retrograde for the second time this year, this time in its own sign of Gemini. Although general activity will begin again on or around the 21st, the circumstances involved are likely to regress, reverse or need review in some way. Retrograde energy necessarily reverts us back to some prior issue or situation that needs review before forward movement can occur once again when the retrograde is complete, which will occur on June 11th. So be prepared for things to unfold s-l-o-w-l-y over the coming weeks. Be prepared and willing to go backwards before you can move forwards knowing that whatever needs to be reviewed, revised, re-worked or re-visited will, in the long run, prove to be important necessary and beneficial to the ultimate outcome. Venus rules this New Moon and is in Cancer, the sign of home, family and inner emotional security. Through Taurus, Venus develops a healthy relationship with our self that encourages us to learn to take care of ourselves. Cancer is the archetype of inner emotional security that teaches us to become aware of all the sources of outer dependencies we have with people and things we hope will take care of us. So Venus in Cancer is a ‘double dose’ of self-reliance! This planetary combination points to the need for self-reliance not only on physical/fiscal levels, but also on emotional levels. The Sun and Moon semi-square Venus symbolizes that for some, establishing emotional or financial security may feel like a struggle now. Connect inwardly with your Higher Self or inner divinity to find the truest source of your well-being. Then outwardly pursue what reflects your personal values and is most meaningful and important to you. Invest in yourself. Make the effort to expand your sense of self-worth and confidence and empower yourself through greater self-reliance. Fortunately, the timing couldn’t be better to work on ourselves because Venus is also trine Neptune in Pisces right now! Venus and Neptune are a natural planetary pair. Astrologically, there are planets that are known as higher and lower ‘octaves’ of one another. This means that they share a certain archetypal energy, but express that same energy on different levels. What Venus and Neptune have in common is LOVE! So Venus in a trine aspect (120 degrees) to Neptune reflects the most favorable and beneficial energetic connection between earthly and divine love possible! These two bring together both higher and lower expressions of love. Accordingly, this month holds the promise of finding and expressing love and happiness easily. Offering love unconditionally to others will be returned many fold. Receiving love can happen effortlessly if you simply allow it to enter your life through feeling worthy of it and deserving of good things. Through Taurus, Venus reflects our relationship with our self. If you can love your self enough, you can open up to receive love from others including from the highest source of all – the divine Source that created you. Venus is also square the Nodes of the Moon symbolizing a necessary choice point. Perhaps your choices are too numerous making decisions seem difficult. Make choices based upon your own personal truth and values while while considering how others will be affected. Choose what reflects the highest and best good for all concerned and watch magic happen. Venus is also opposing retrograde Pluto in Capricorn (exact on the 21st) and will square Uranus in Aries (on the 25th). Old realities, goals, ambitions or responsibilities may need to be released or let go of in some way before new directions can take root. Don’t be afraid to make BIG, bold or radical changes. Love yourself enough to take risks and make choices from your heart not just your head. Trust and depend upon yourself more. Don’t follow; lead! Take full responsibility for what you want and need and what you’re going to do to manifest your greatest desires! So commit yourself to connecting with what’s sacred this month including the Earth and your self! Reach for the highest levels of manifestation you can imagine and expect miracles to happen because these energies are naturally and divinely supported now. The ‘seedlings’ you transplanted last month are no doubt beginning to really grow now but still need LOTS of patient care and attention. Feed them and soon they’ll be bloomin’ like crazy! This Taurus New Moon encourages all of us to lovingly tend to our ‘garden’ and watch our miracles grow! The Gemini New Moon occurs on June 16th at 7:05 am MST! This entry was posted in Planetary Events and tagged ability, conditional, confidence, empowerment, gifts, love, Neptune, resources, self-reliance, skill, survival, talent, Taurus, unconditional, Venus. Bookmark the permalink.